As an industry leader in legal information management, HLP Integration stands proudly by its mission “to be a world class organization that is founded on the principle that solutions that are the best for our clients are best for HLP.” With core values of creativity, collaboration and commitment, we provide solutions that protect both your data and your bottom line. Tackling each of our clients’ unique data challenges in a tailored & cost-effective manner. A complete solution for accessing the full value of patents. Tailored support services to save you time and money. Maintain control and increase productivity on-time and in budget. Accurate results from native linguists and subject matter experts. Engineering data to promote your success. We work with corporations and law firms worldwide to provide custom data solutions to fit your specific and changing needs. HLP helps corporations create a litigation program that establishes policies, ensures compliance and manages unpredictable costs. HLP helps small and mid-size firms plan for and reduce the costs of litigation by working with outside vendors and technology providers to make sure you get the right services at the right price. 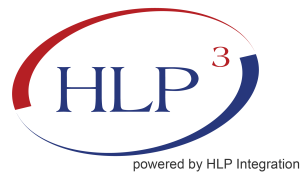 HLP Integration has a singular mission of reducing the overall cost of the legal and litigation support spend of corporations and law firms.